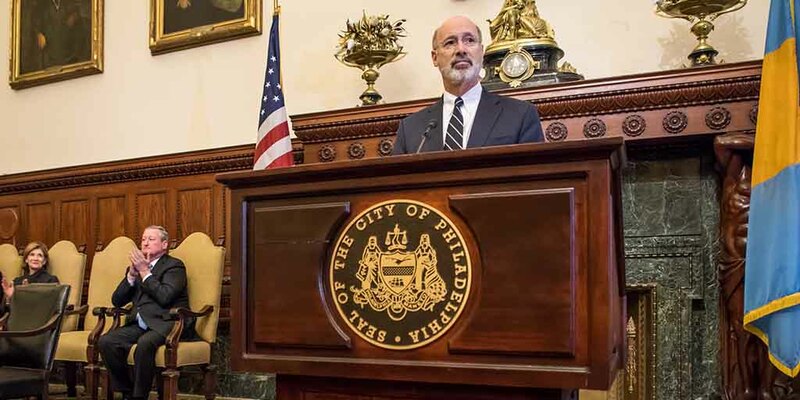 Harrisburg, PA – Today, Governor Tom Wolf announced that his administration has approved the return of Philadelphia public schools to local control. In a letter to the School District of Philadelphia, Secretary of Education Pedro A. Rivera approved of the district’s recommendation to dissolve the School Reform Commission (SRC) and rescind its designation as distressed. The district was declared distressed in December 2001 by then-Secretary of Education Charles Zogby. The School Reform Commission was then established and became responsible for the governance of the district. Last month, the SRC adopted a resolution recommending to the Secretary of Education that the SRC be dissolved and that the declaration of distress be rescinded. The Pennsylvania Department of Education reviewed the recommendations and additional documentation received from the district and the City of Philadelphia. In his decision, Rivera noted that the district and the city have developed an appropriate plan to transition control from the SRC to a locally-appointed board of education. Board members will receive training, attend SRC action meetings, and form committees to ensure a smooth transition when the SRC officially dissolves at the end of this school year. Read Rivera’s declaration on PDE’s website. Both actions are effective June 30, 2018.